What is G‑d and what is G‑dliness? We are the creation, a thought He thinks about. G‑dliness is His mode of thought. 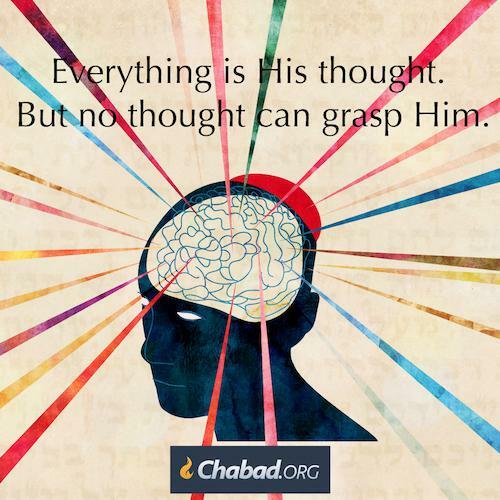 G‑d is beyond all thought. Previous PostThe Sixties Radical-Azriel Guarding our inner SanctuaryNext PostThe Sixties Radical-Azriel- G-d wants us to be set Free.